Snake Brand Universal Guide release!! 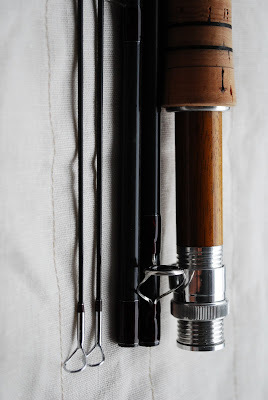 After a long wait, Mike McCoy, designer and owner of the legendary Snake Brand fly rod guides, has finnally released a new patented snake guide called "The Universal Guide". 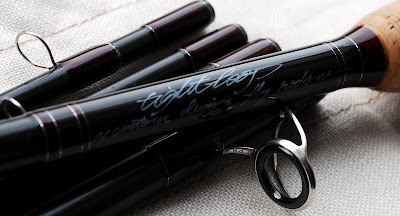 From my understanding, these new guides have individual wire sizes to perfectly match the desired location on the blank, this meaning that smaller sizes of guides have smaller wire diameters in order to complement the highly advanced blank designs of our days. Plus, the new guides feature radiused and identically tapered guide feet in order to reduce bulky epoxy finishes and maintain recovery rate of tip sections of blanks. In addition, these new guides sit flat and straight on the rod blank wich eliminates all the guide foot preparation work, prior to wrapping. 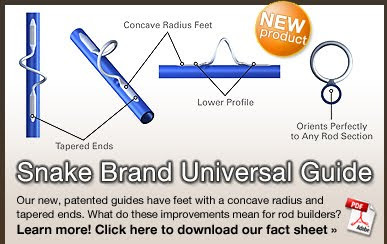 The concave radious on the bottom of the guide foot is an industry's first, according to what Mike says, this being a huge benefit for the modern rodbuilder of our days. 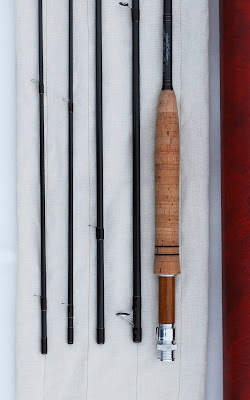 These new guides are self-orienting and self-aligning, resulting less time spent by the rodbuilder and more efficient work involved in creating that one of a kind fly rod we all strive for! 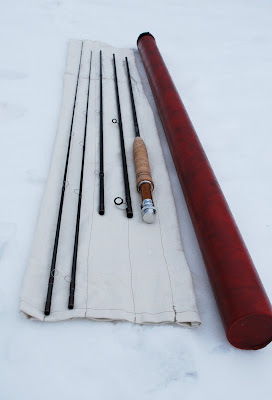 Mike's new guides can be seen at the Custom Rod Building Exposition in High Point North Carolina this weekend and at the EWF Show in Munich April 17'th and 18'th! 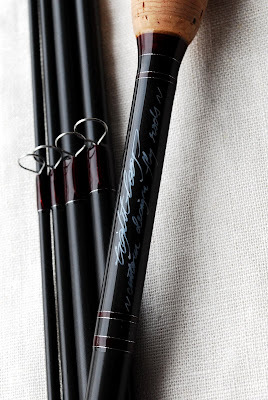 "The Worlds Finest Fly Rod Guides"